The Carmilla Movie, a feature spawned from the vampire web series of the same name (which was originally funded in part by female hygiene brand U by Kotex), will debut in Cineplex theaters across Canada on October 26, with a wide release on Fullscreen the following day. 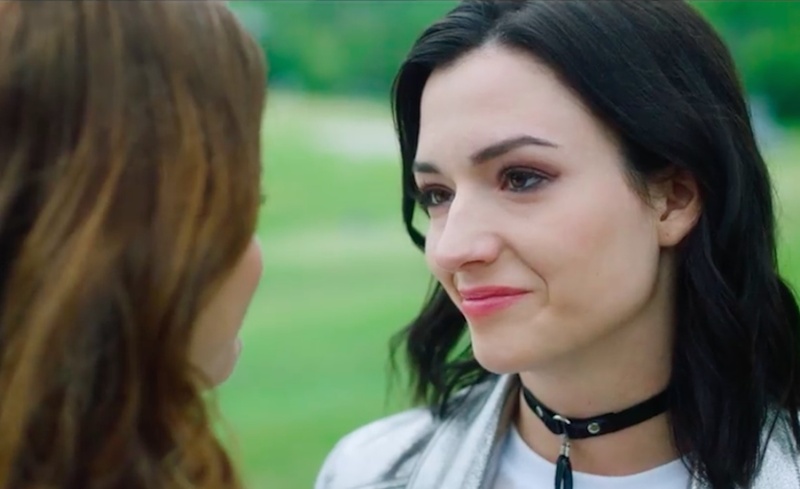 Elise Bauman, who plays Laura Hollis in the web series and upcoming film, and Natasha Negovanlis, who plays Carmilla Karnstein (the vampire), debuted the film’s full-length trailer today at their New York Comic Con panel. Bauman and Negovanlis portray lesbian partners in Carmilla, one of whom happens to be a 300-year-old vampire. Other cast members include Dominique Provost-Chalkley (Murdoch Mysteries) and Nicole Stamp (The Handmaid’s Tale). Produced by the Toronto-based production shop Shaftesbury, The Carmilla Movie will find the web series star couple in a Toronto apartment, Carmilla no longer a vampire. When she starts to once again exhibit vampiric tendencies, she and Laura meet with old friends to fix the problem. “The Cineplex Events screenings are an incredible opportunity for Carmilla fans across the country to enjoy the film with one another, to meet and exchange their own stories, as well as grow the fanbase and attract new viewers who haven’t yet discovered the series,” said Christina Jennings, Carmilla’s executive producer and Shaftesbury CEO. The show was originally created to increase the representation of lesbian characters in scripted series, a demographic that gets very little screen time. Carmilla has been honored at the Streamy Awards, Webby Awards, Shorty Awards, and the Canadian Screen Awards. Tickets are currently on sale for the October 26 screenings. You can buy them here. The advance screenings will include extra footage that “Creampuffs,” aka Carmilla fans, won’t be able to find on streaming platforms.